The North American International Auto Show in Detroit typically sees US manufacturers unveil colossal pick-up trucks, lengthy sedans and other such curiosities that rarely sees the light of day on European roads. 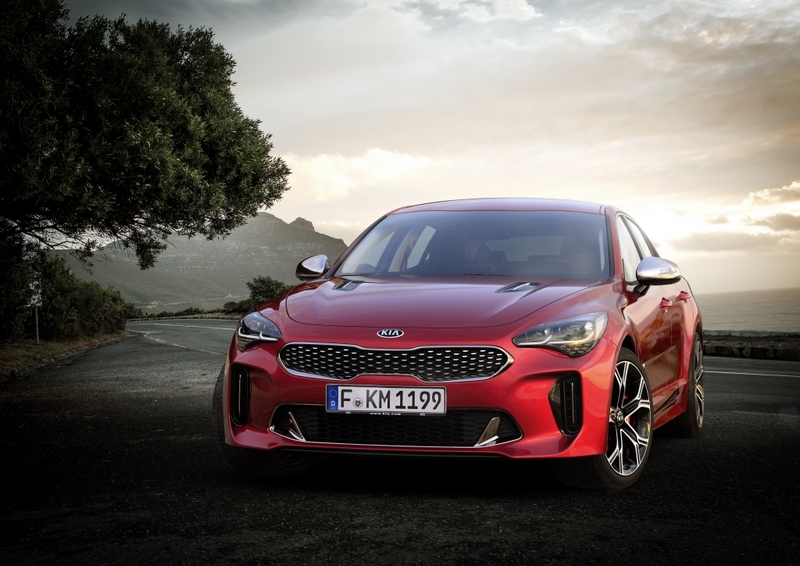 But in an interesting twist, Korean marque Kia managed to bag an impressive amount of column inches with its upcoming Stinger model: a fastback sports saloon that it hopes will battle the likes of BMW, Audi and Mercedes-Benz both here and across the Pond when it goes on sale in 2018. 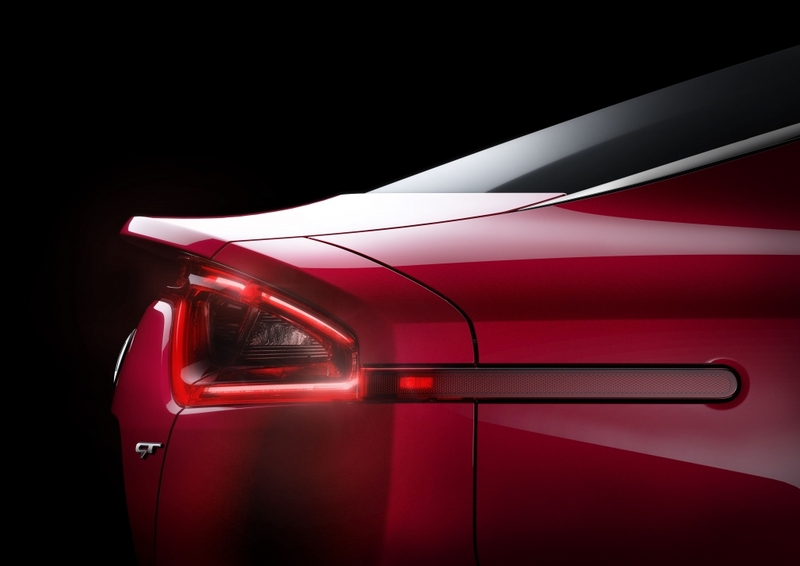 Based on the GT concept, which was first shown at the 2011 Frankfurt Motor Show, the Kia Stinger bears all of the hallmarks of head designer Peter Schreyer’s pen: powerful haunches, a steeply raked windshield, Kia’s trademark ‘tiger nose’ front grille and razor sharp LED lights at the front and rear. It’s an aggressive, yet elegantly powerful piece of design that has some critics likening its road presence to the recently released Alfa Giulia QV, especially from the rear. But imitation is the sincerest form of flattery, isn’t it? Inside, the centre console is split into two specific areas: the infotainment controls sit neatly below a large colour touchscreen, while the climate and ventilation controls rest beneath. According to Kia, a colour TFT screen between the main gauges relays performance data such as cornering G-forces, lap times and engine-oil temperature, along with ancillary information such as the trip computer, driver settings, navigation and diagnostics. Powering the cut-price continent-crosser is a choice of either a 2.0-litre turbocharged four-cylinder engine, which produces an estimated 255hp at approximately 6,200 rpm. 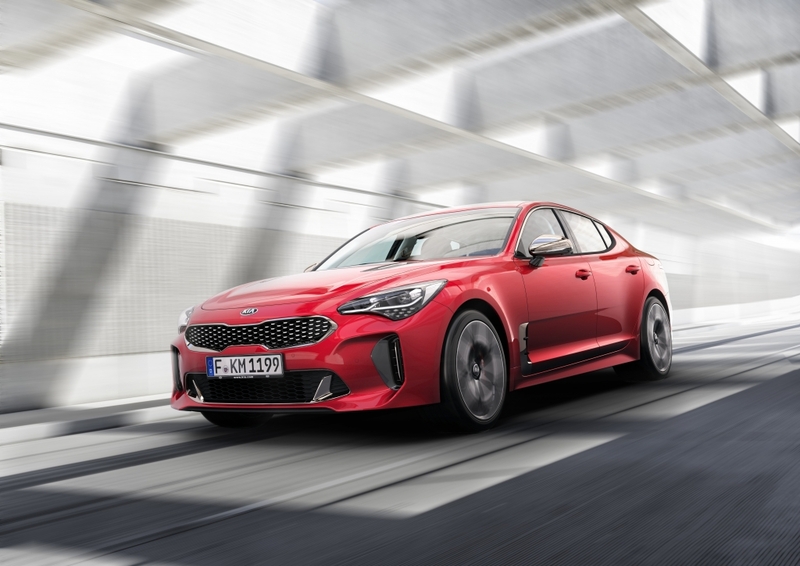 However, those wanting a little more bite from their Kia Stinger can option a 3.3-litre twin-turbo V6 unit (on models badged Stinger GT) that is said to produce 365hp at an estimated 6,000rpm. 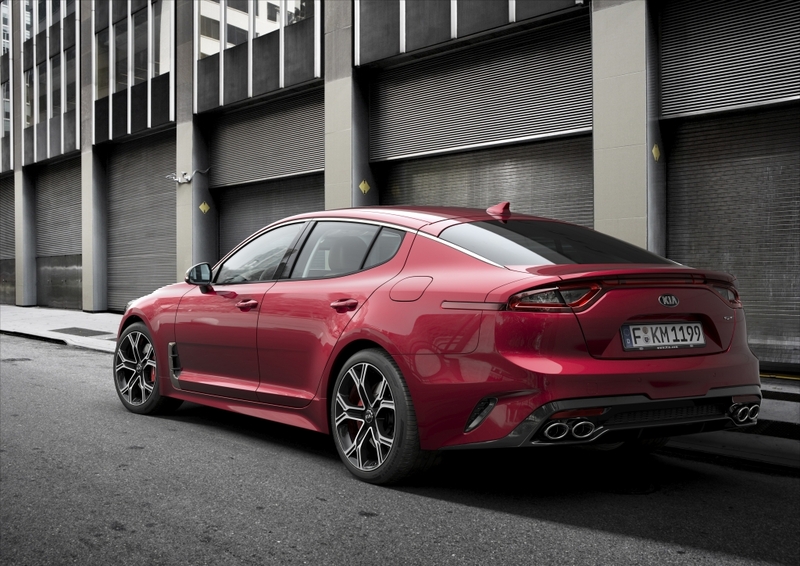 Kia says it aims to smash the 0-62mph sprint in just 5.1 seconds with the twin-turbocharged V6. Admittedly, the family-friendly brand isn’t known for its chassis and handling dynamics, but the acquisition of Albert Biermann from BMW in 2014 could change all of that. It is said that the Stinger was his first Kia project and as such, Biermann and his team looked towards the Audi A4, Infiniti Q50, Lexus IS, BMW 4 Gran Coupe and even the Lexus GS and Mercedes CLS for dynamic inspiration, which bodes well for a more engaging drive in future models – something Kias have historically lacked. Prices for the Kia Stinger will be announced closer to the 2018 launch date.